This cute tee shirt or Gerber Onesie with cute birthday Prince can be personalized with your child's name and age and is available in many sizes and styles. 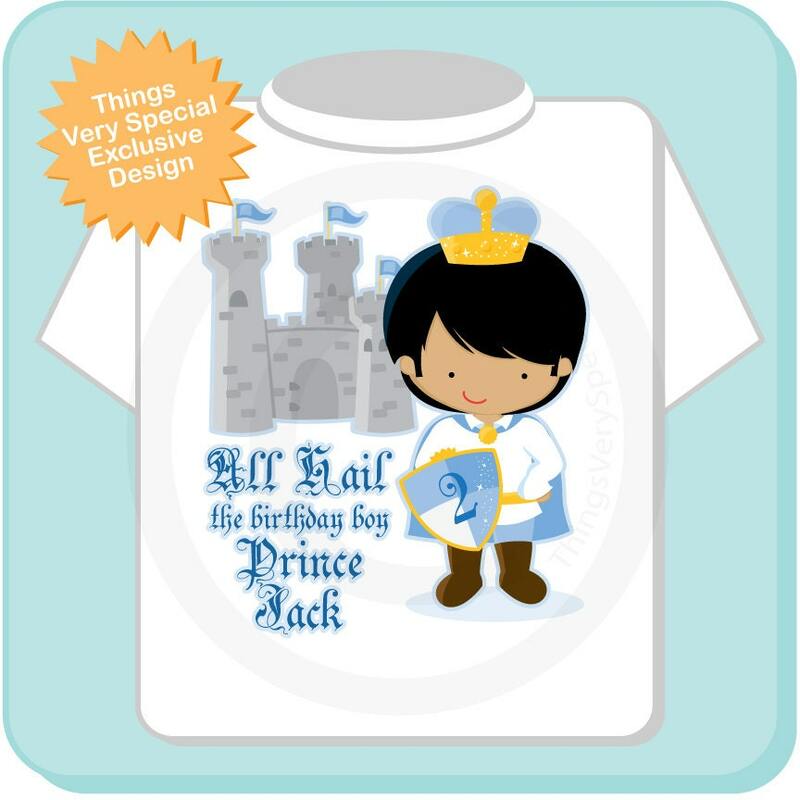 This one says "All Hail the Birthday Boy Prince Jack" But your child's name will be substituted for this one. There is also a 2 on the shield signifying the child's age. This will be whatever age you wish. This little boy is of latin or hispanic heritage with light brown skin and black hair. If you need a different skin and hair combination please send me a convo by clicking the "contact the seller" button on this page. 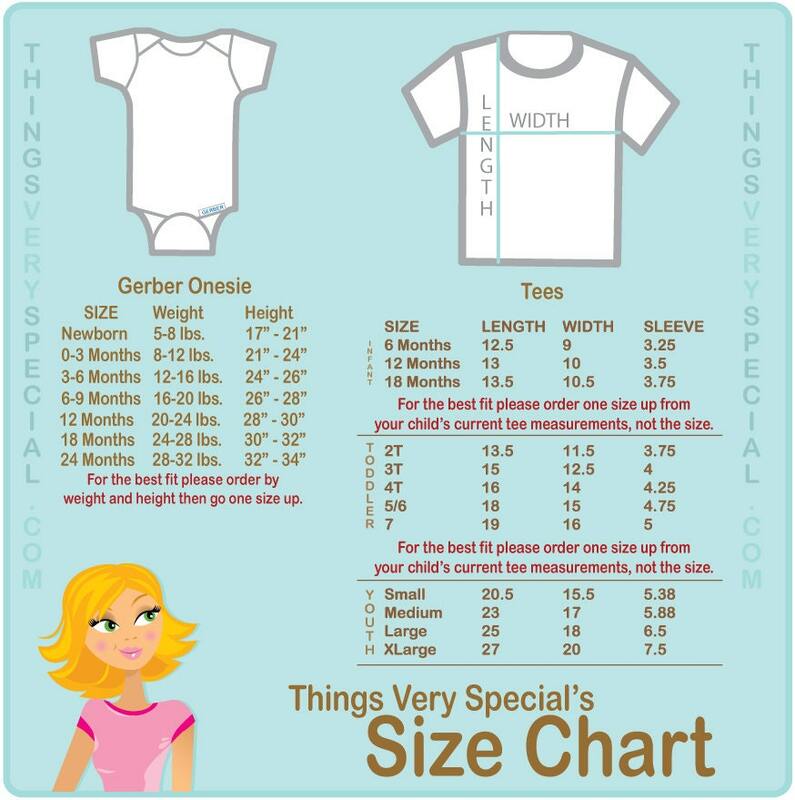 Size of tee shirt or Onesie..